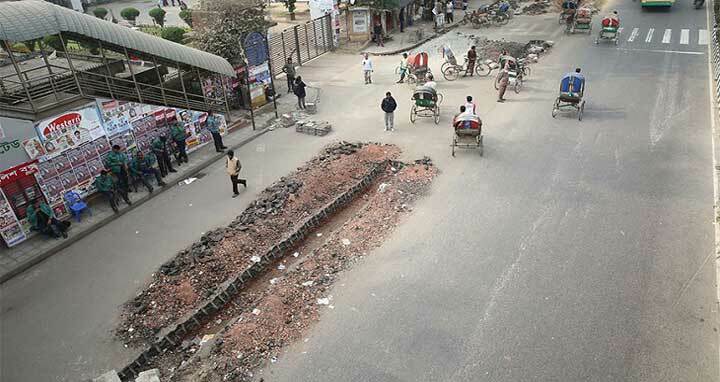 Dhaka, 5 Mar, Abnews: Keeping monsoon factor in mind, the government would repair dilapidated roads and highways across the country by June, officials said. "The condition of highways would be developed by June and mentionable progress of the work will be visible by April," Road Transport and Highways Division Secretary Mohammad Nazrul Islam said during a press conference at the Secretariat in the capital. “Road Transport and Highways Division has attained hundred percent success in implementing annual development programme (ADP) in the last five years consistently as a result we are working with utmost sincerity to keep up the success in the current fiscal too," he added. Islam said floods and heavy rains have caused damages to many portion of the country's highways. The division has taken different programmes to bring the highways in normal condition side by side taking up immediate measures to keep those operational, he said. Islam said, adding some 23 monitoring teams of Road Transport and Bridges Ministry have been overseeing the programmes.